ABOLISH! 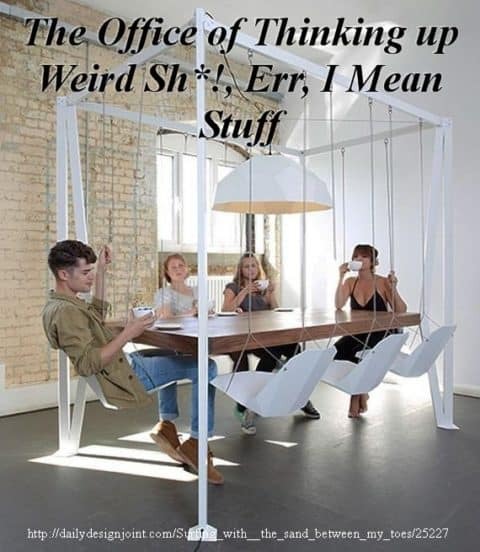 “The Office of Thinking up Weird Sh*!… Errr, I mean “Stuff”!! Yes, you know what I am talking about! You have all painfully experienced it! These are the people that lurk at “corporate” and love to think up more and more useless, time-wasting stuff to pile onto your workload…or they wouldn’t have a job! Most companies have one…Most of these “offices” have very little business value…and in almost every case they subtract from what we should really be doing to add value to our companies. They are the money-sucking parasite of the business world, and not the “money tree” they portray to be. 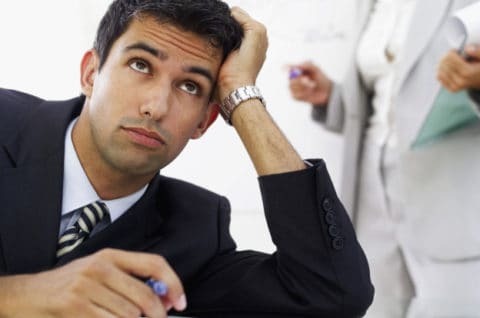 All too often the Office of Thinking up Weird “Stuff” creates so much extra useless workload that the seasoned Veterans start to leave the company. The Office of Thinking up Weird “Stuff” brands these people as “Resistant to Change”. Eventually a new group of personnel is hired to replace those Veterans, and just like the Veterans, they too eventually become “Resistant to Change” and move on just as their predecessors did. The Office of Thinking of Weird “Stuff” drains scarce resources and creates a revolving door of employees. The good news is that the Office of Thinking of Weird “Stuff” can be effectively eradicated thru “Intelligent Organizational Design”… And that’s your Executive Advantage! !